The August 20, 2015 issue of the Troy Times-Tribune is available. 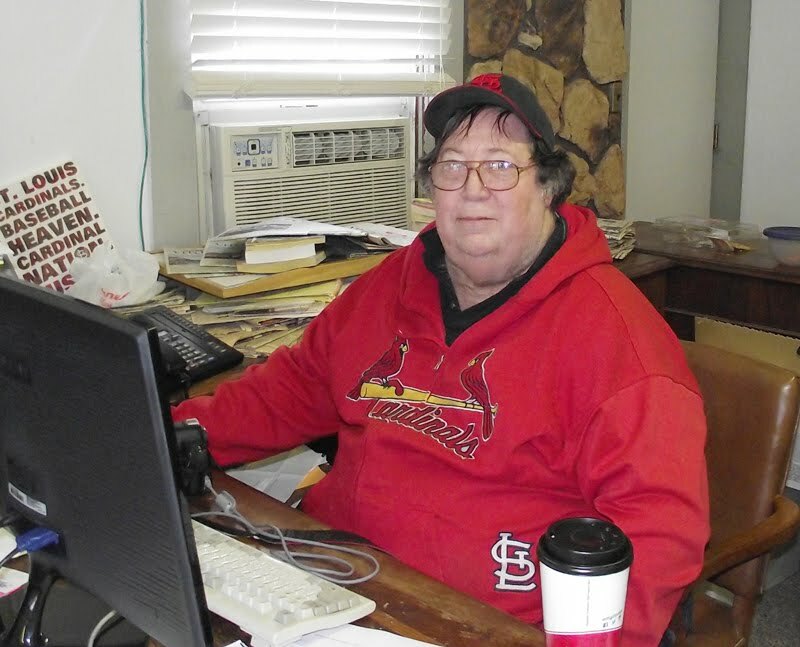 Some of the headlines in this issue: Contract with Telecommunicators Gains Support of Council, Website Lists Maryville As No. 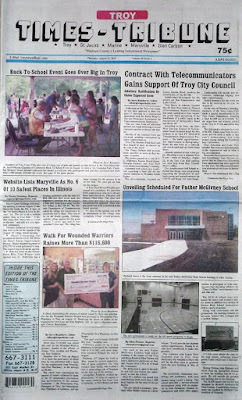 6 Safest Places in Illinois, Unveiling Scheduled for Father McGivney School, Walk for Wounded Soldiers Raises More Than $116,600, Park Board OKs Stone for Commissioners' Walk, Pre-Trial Conference Set for Man Accused of Killing Taylor Clark, Troy Resident Takes Hockey Expertise to Next Level; plus we have police blotters, our “It Happened Here” history page, a column about technology and the future, and a whole lot more! This edition has obituaries for Jayne H. Carver, David A. Fuller, Michael Ray Jaimet, and Benny Sims Sr.